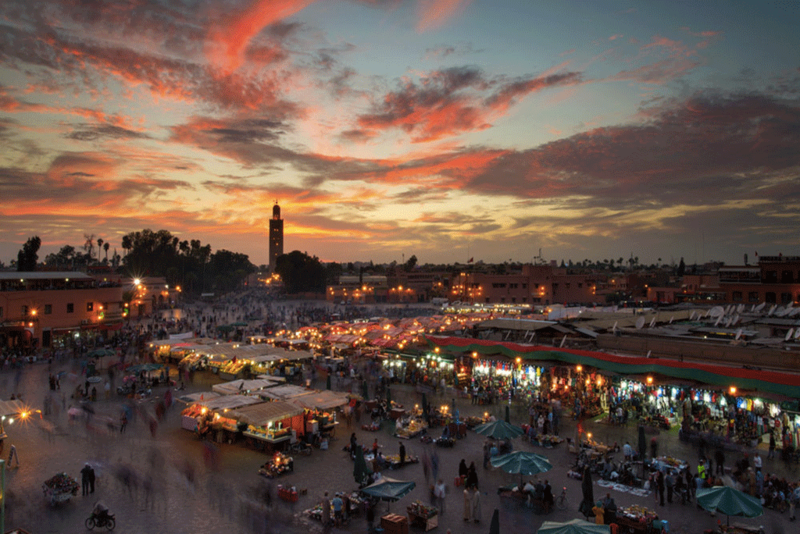 Located in the heart of the Medina, the Djema-el-Fna square is both the geographic center of Marrakech and the essential socio-cultural meeting place of the city. 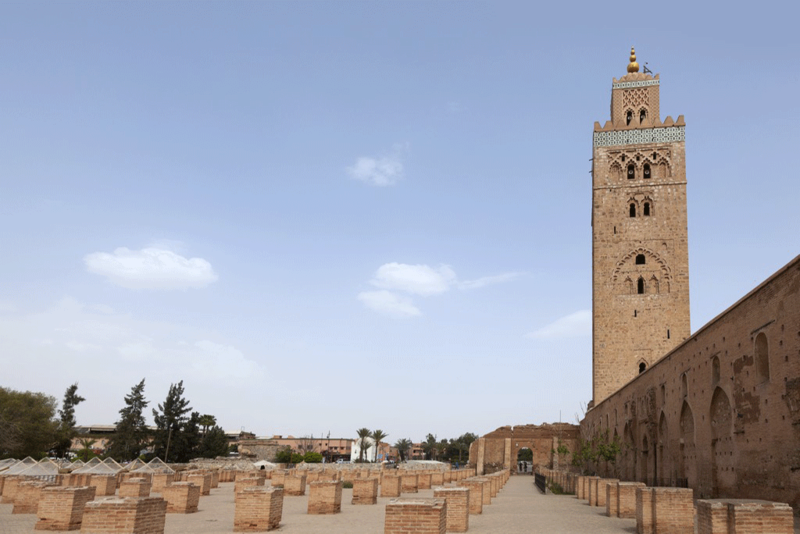 It is dominated by the minaret of the Quessabine mosque, between the souks and the Koutoubia minaret. This is where you get to the souks with its narrow streets lined with small various stalls, public writers, marabouts, sellers of grigris and even tooth pullers. Do not miss the street food in the square! The Majorelle Garden in Marrakech is one of the most visited places in Morocco. 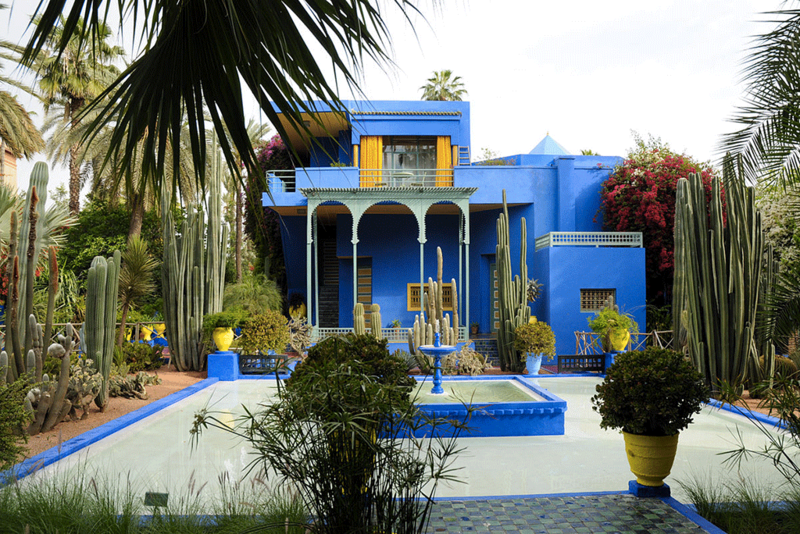 It took the French painter Jacques Majorelle (1886-1962) forty years to create, with passion, this enchanting place, today in the heart of the red city. In its shaded alleys, you wander through the trees and exotic plants which origin is inspiring, it runs along waterways with refreshing murmur and pools filled with water lilies and lotus. 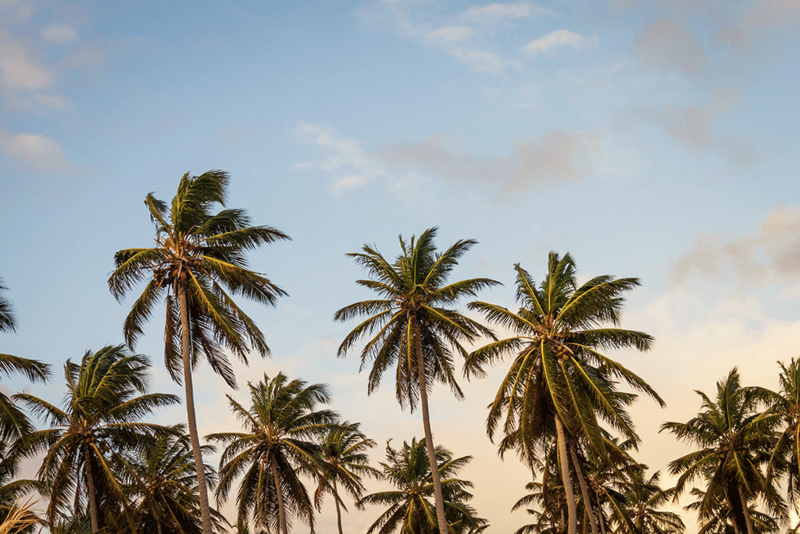 The Palmeraie (palm grove) of Marrakech has more than 100,000 trees, mainly palm trees, on about 15,000 hectares as well as a production of dates and a kitchen garden. To walk the palm grove, what better than a carriage ride, a means of transport very popular with tourists in Marrakech. In short, a place of dreams, far from the crush of the city of Marrakech to take a breath of fresh air! 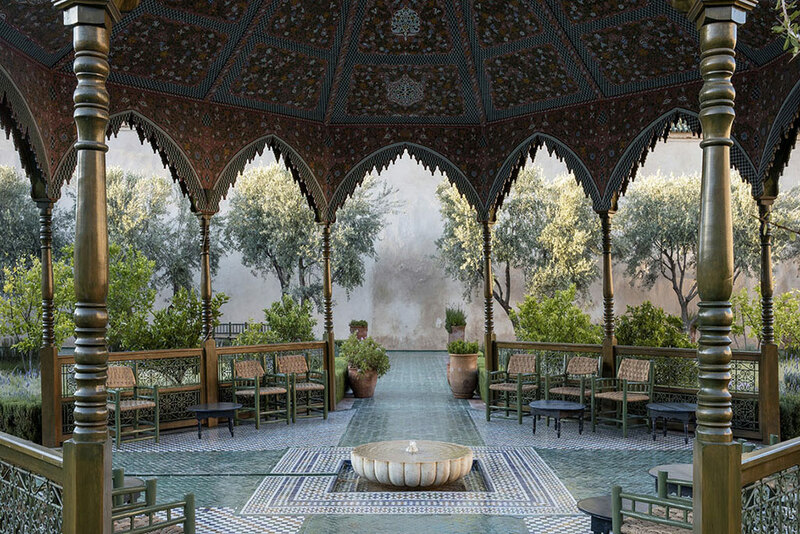 Rebuilt in the mid-nineteenth century by an influential Kaid of the Atlas, The Secret Garden has been home to some of the highest political figures in Morocco and Marrakech. 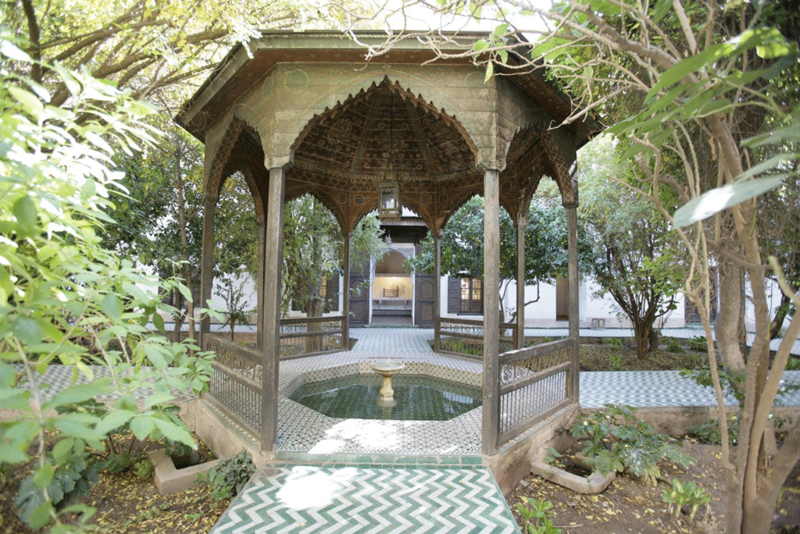 The Secret Garden, which can now be fully appreciated thanks to its recent restoration, is part of the great tradition of Arab-Andalusian and Moroccan palaces. The visitor can discover the gardens and the buildings that make it up, which are exceptional testimonies of Islamic art and architecture. 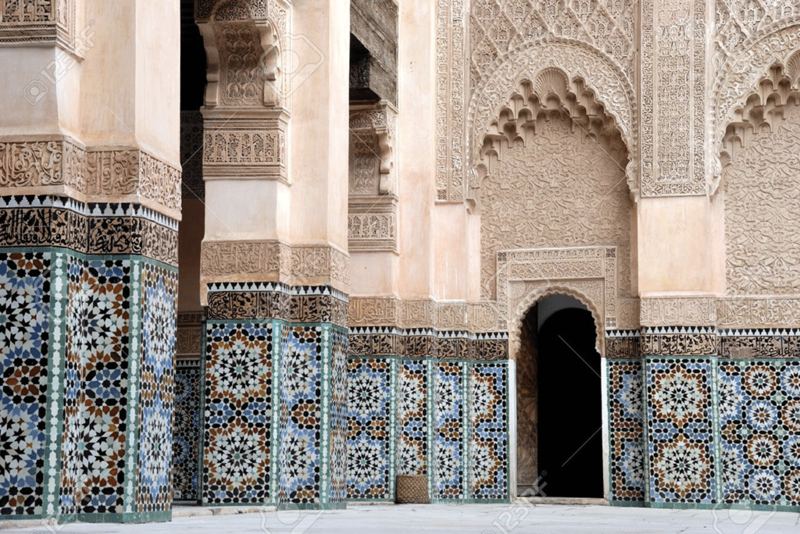 The Ben Youssef madarsah, better known as the Koranic School, was built in 1565, under the orders of Sultan Abdellah Al Ghalib, belonging to the Saadian dynasty. The madarsah welcomed more than 900 students including more than 100 foreigners. Composed of a pond and a prayer room, the school was richly decorated: floral motifs, marble work, cedar decorations, etc. that it is always possible to admire today. 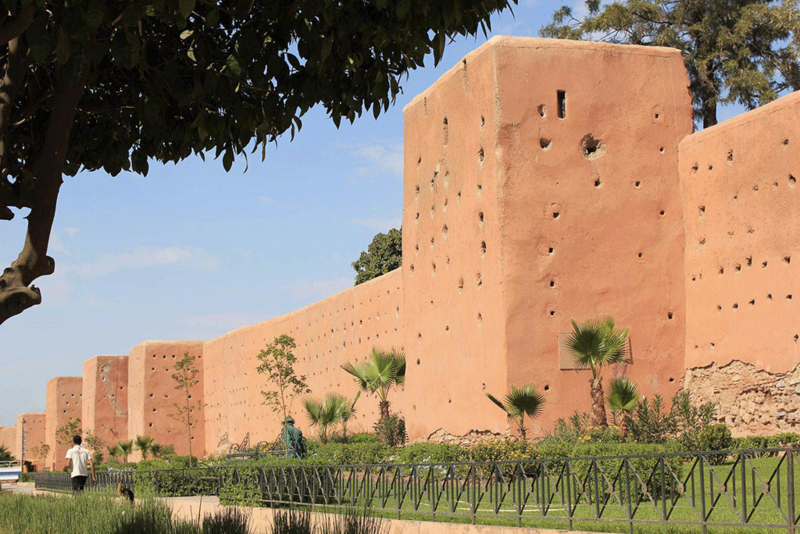 Here is an original museum: the Dar Si Saïd museum of Marrakech! This touristic place travels through Moroccan wood crafts through woodwork, ceramics, jewelery and other objects from manual labor. 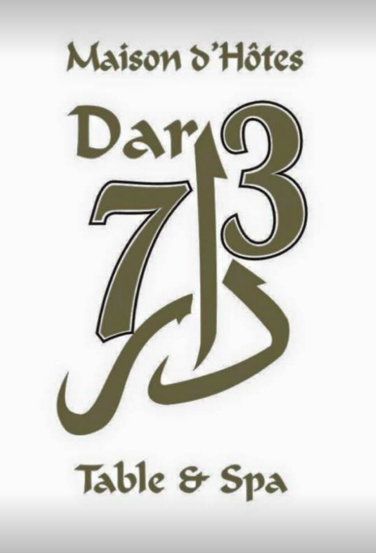 A real exhibition of Moroccan decorative arts that highlights the creativity and know-how of Moroccan populations. At the entrance to the museum, visitors can rest at the foot of the Spanish fountain with two majestic eagles with outstretched wings. When visiting Marrakech, a short tour to the souks is required. Whether you are looking for a bargain or simply for the pleasure of the eyes, do not miss such a visit. 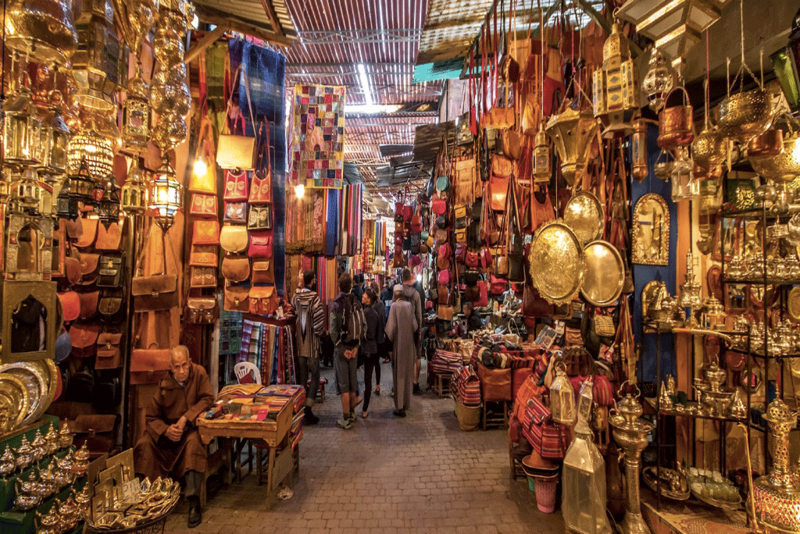 The Marrakech souks are ranked among the largest and most beautiful in Morocco, there is everything: crafts, leather, pottery, jewelry, spices, slippers, clothing and much more. Getting there is simple, just go to the famous place Djema El Fna and venture into the maze of alleys. Without a doubt, the most important religious building in Marrakech. Why? First of all locally because Moroccans, very active, turn to her several times a day during the call to prayer. In addition, for tourists, the Koutoubia is often recommended to locate and navigate the city! 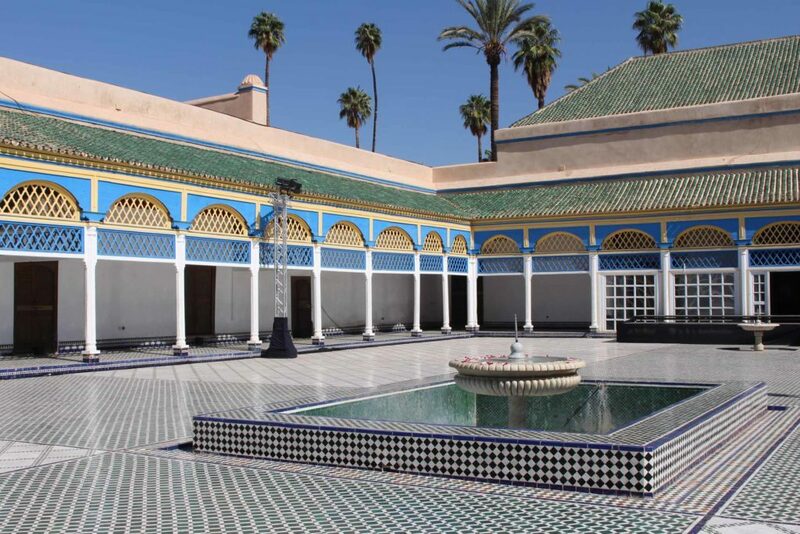 Built in the 12th century under the orders of Sultan Abdelmoumen (Almoravid dynasty), Koutoubia – meaning “The Mosque of booksellers” – named after its former location was in the souk of manuscript dealers! 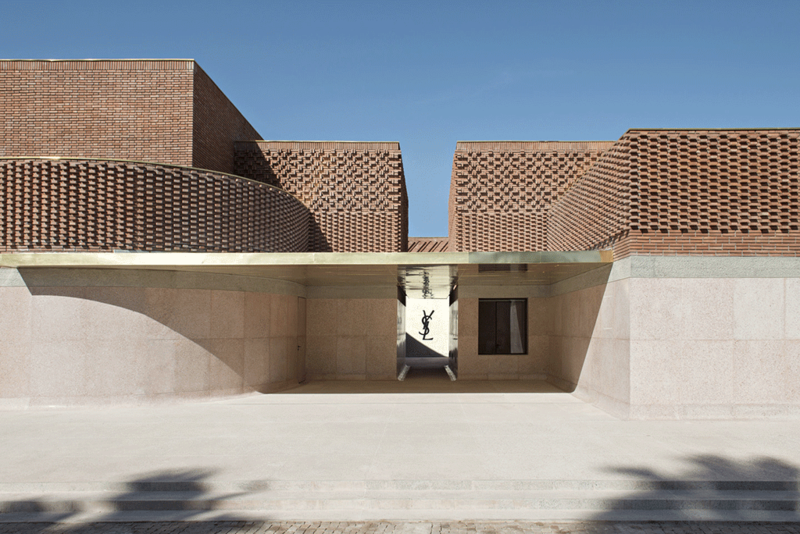 Close to the Majorelle Garden, acquired by Yves Saint Laurent and Pierre Bergé in 1980, the YVES SAINT LAURENT Museum of Marrakech, a new building with a total surface area of nearly 4,000 m² is more than just a museum. It includes a permanent exhibition space of 400 m², presenting the work of Yves Saint Laurent in an original scenography by Christophe Martin. The museum also houses a temporary exhibition hall, a research library with more than 5,000 books, a 140-seat auditorium, a bookstore and a café with a terrace.